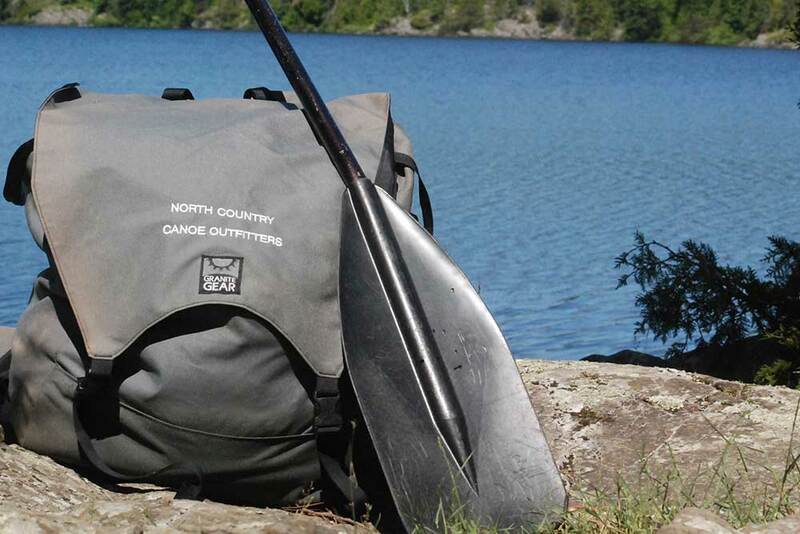 Why Outfit with North Country Canoe Outfitters? 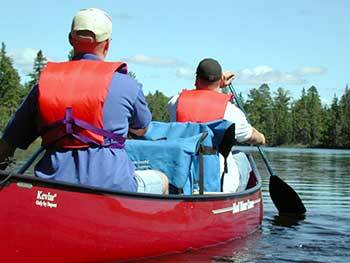 Naturally, we at North Country want you to take your canoe trip with us. We also fully realize that no one individual outfitter can be all things to all people. 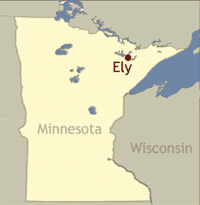 For that reason, we have outlined a few areas you might want to consider when selecting the Ely Minnesota outfitter that’s right for you. For every person that dips a paddle into one of our sparkling lakes, there is a particular set of reasons for taking a canoe trip. Quite often members of the same party want different things from their wilderness experience. And that is how it should be. The outfitter you choose should be in a position to take all of those reasons into account, and be able to discuss them as they plan your trip with you. There are thousands of lakes in the north country; each one is unique. Some are good on one occasion, others may be better for another trip. When you initially talked to an outfitter (whether at a sport show or on the telephone) did he actually ask what you were looking for? Did he start talking about beginning a trip from a particular lake, or into a specific area, without really knowing your unique circumstances? How close is he going to be when it comes time to design your route around your expectations and ability level? We hope you will take the time to check out some of the things that we think make outfitting with North Country the best decision you can make. We are one of the finest outfitting businesses in North America, with thousands of satisfied customers. Many return year after year. No, we are not the cheapest. If you are looking for a rate that is at the bottom end of the scale, we simply cannot help you at this time. If, however, you are looking for a trip worth paying a little extra for … one that will live in your memory for years to come … an outfitter that you can recommend to your best friends .. come see us. We can give you just that kind of experience! Our outfitting base is located on the Minnesota/Ontario border, six miles from the little town of Ely, Minnesota, on White Iron Lake (the majority of which is uninhabited). Being one of only a very few outfitters in our immediate area, our parties may begin their wilderness experience without the heavy canoe congestion found on a few of the entry lakes. The smaller, narrow lakes leading away from our dock insure safe, easy paddling, even on windy days. Short, direct canoe access to three BWCA entry points, lead to some of the more remote lakes in the area. However, should you want to go into Canada, or begin your travel through the north country from one of the other U.S.-side entry points, we will be happy to transport you and all of your equipment … whether that be by van and trailer or tow boat. Although the Boundary Waters and Quetico Park are “friendly” wilderness areas, they sometimes pose insurmountable obstacles to the uninformed and novice visitor. We are here to serve you with the highest degree of professionalism, and good old fashion honesty and integrity. We will provide invaluable assistance in securing the required governmental permits (US or Canadian), transportation to and from outlying landings, route suggestions, and general background information on the area which you intend to travel (no one is more familiar with the canoe country than we are — we live here and have traveled the many lakes and streams). 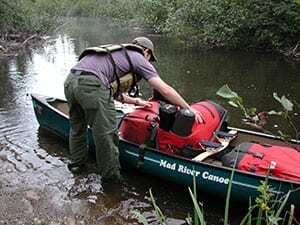 We offer complete, professional outfitting and can provide everything that is necessary for you to enjoy a wilderness canoe trip. We are uniquely equipped to supply canoes and equipment designed expressly for this area. Much of today’s “high tech” backpacking equipment is not suited to canoe country travel. Conversely, canoe camping equipment tends to be single purpose gear: ideal for canoeing, but not well suited for other types of camping. Location: Our outfitting base is located on a strategic lake versus in town on Ely’s main street. Custom Trip Planning: Prior to determining an Entry Point for your trip, we offer an in-depth reservation request form, which, when completed, outlines your ability levels, travel expectations, goals of your canoe trip, and fishing preferences, so as to better plan your canoe trip. Lakeside Accommodations: We offer private dorm style and motel style rooms for handy lakeside accommodations. Lightweight Equipment: We offer ONLY Ultra-Lightweight Outfitting equipment through our Silver and Gold packages. Best Food: We offer two top quality menus featuring both freeze-dried and fresh foods, including Certified Angus Beef® steaks as a regular menu item. Discount Youth Trips: We offer significantly discounted package rates to non-profit youth groups, while using the same high quality equipment as for our private parties. Entry Transportation Included: We offer both land transportation and towboat service from our base to all of the Ely area BWCA entry points (included with our Gold and Silver Packages), PLUS towboat service from Moose Lake to the Quetico Ranger Station at Prairie Portage. NO HIDDEN FEES: Our brochure booklet lists all pricing information. Options which may result in an extra charge are all up front and transparent. No surprises later.